ABC Animal Alphabet is full of vibrant, full-color, adorable animal photos and pictures (elephants, lion, giraffes, goats, kitten, rabbit, horse, pony, zebra, monkeys, bird, camel, turtle, fish, etc. ) with both uppercase and lowercase letters and words and an adjective for each animal from A to Z. Early learners can match the letter to the alphabet given on each page while discovering bright colors, shapes, and designs. At the end of the alphabet book, additional animal pictures and words are introduced including animal pictures for the soft c and g sounds. 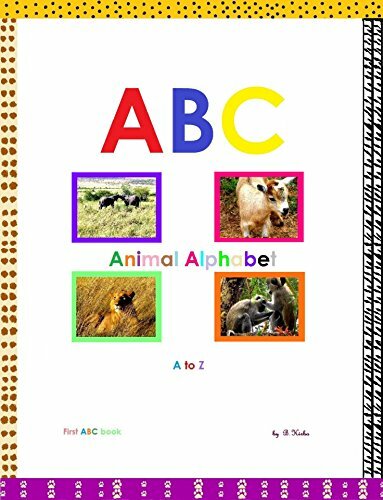 – A simple, cute, and visually delightful animal alphabet picture book for young boys and girls learning their ABC’s, building their vocabulary, and developing early reading readiness skills.